The Hammers were brushed aside at Armadale 57-33 as the visitors simply could not cope with the very grippy conditions. The opening heats saw the Essex side finding it even hard to turn a bike and Edinburgh romped into a 32-10 lead with ease. Pottinger said: “What can I say? It’s very disappointing but we just didn’t deal with the conditions at all. That’s not a criticism of our boys though. Monarchs lost both Victor Palovaara and Joel Andersson with heavy knocks as they crashed after losing control on the first turns. But by then it was already game over for the points with the home side taking five 5-1s in the opening six races. After Edinburgh furthered their big lead at the halfway stage, it became a damage limitation exercise for the visitors. 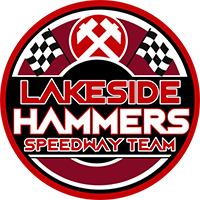 The only highlights were a 5-1 from Adam Ellis and Zach Wajtknecht in Heat 8 and two late wins for Richard Lawson and one for Nick Morris. 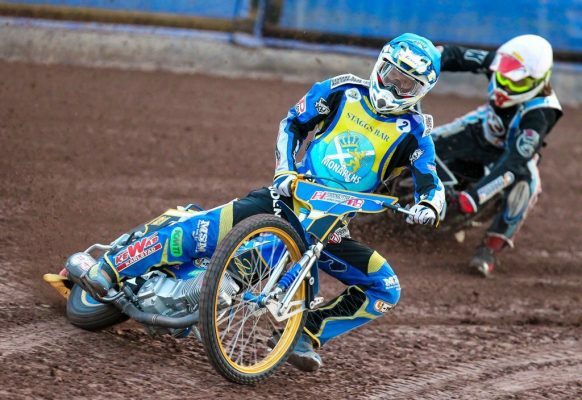 Ellis admitted: “That wasn’t really speedway tonight, the track was shocking really. It’s disappointing to come all this way for that. No one could turn at all, simple as that. 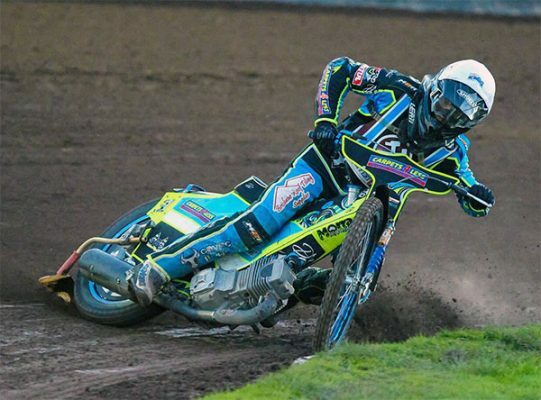 Josh Pickering 12+2, William Lawson 11+2, Richie Worrall 11+1, Erik Riss 10+1, Ricky Wells 8+2, Victor Palovaara 5+1, Joel Andersson withdrawn. Richard Lawson 10, Zach Wajtknecht 7+2, Nick Morris 7+1, Adam Ellis 6, Alfie Bowtell 3+1, Ben Morley 0. Image: Nick Morris in action for the Hammers at Edinburgh. Credit: Taylor Lanning. « Lanham to ride final Raceway laps	» Double header at The House!